Show and Tell Meg: My Reindeer Is A Featured Photo on Ravelry! 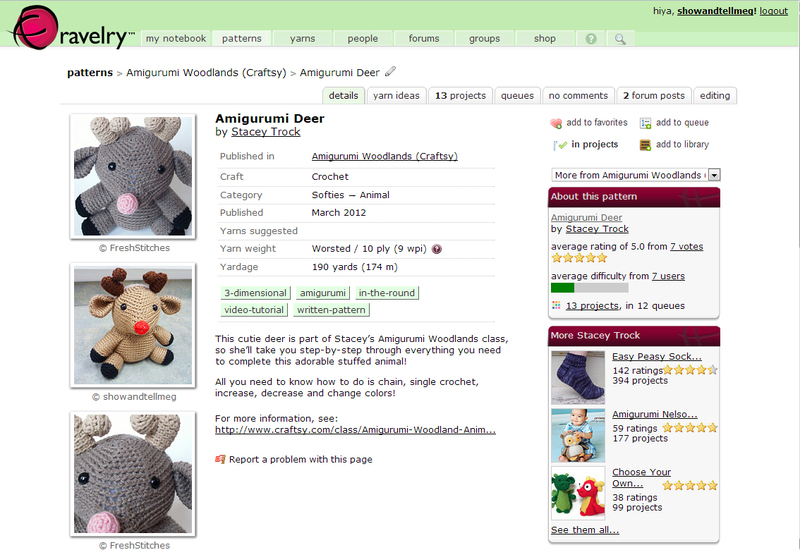 My Reindeer Is A Featured Photo on Ravelry! Woo Hoo! Check this out! Stacey Trock emailed me on Ravelry this morning and asked if she could feature my photo of my reindeer on the pattern page :) I felt so honored I clicked yes as fast as possible! My photo is the only non-Stacey-made one featured on the main pattern page! Go here to see the pattern listing and see my photo in all its glory :) I'm so proud!